I have been seeing animal hat, especially owls, everywhere! Well I have decided to jump on the band wagon and make some. I am starting with a puppy. These will be on sale for $16 for baby, $18 for child and $22 for adults. Two colours- base and ears and then a colour for the patch… this can also be the ear colour. 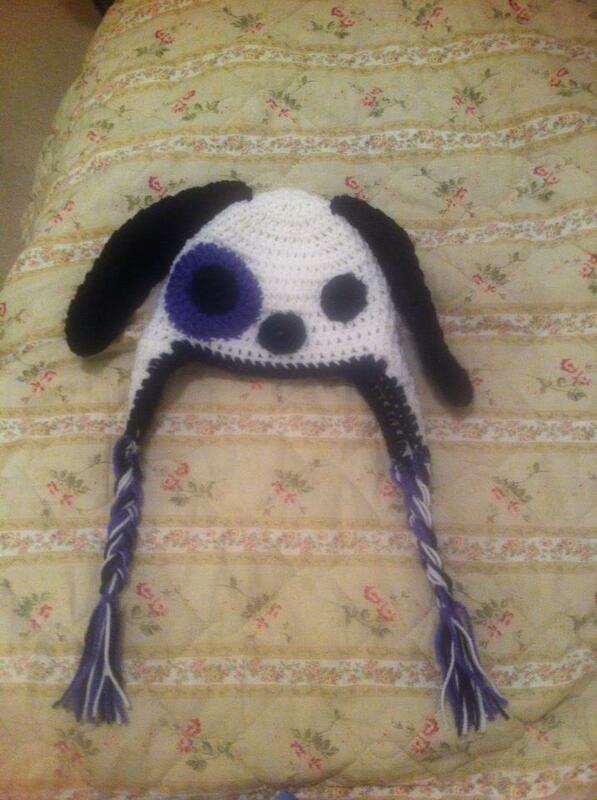 This hat is for Baby M. I did white and black with a purple patch. I have two more of these to make this time in tan and brown and tan and black both with blue patches.